Residents in Clarksburg and the surrounding area of West Virginia have depended on Climatrol for installation and repair of their money-saving heat pumps for generations. We provide comprehensive heat pump service for our residential and commercial customers. Our licensed, certified technicians allow you to experience enhanced indoor comfort while cutting your energy costs. 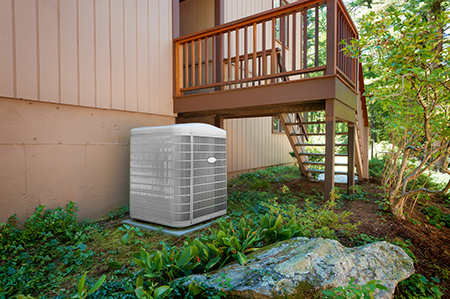 Your heat pump is an important component of your climate control system. By moderating the interior temperature of your home or business in both winter and summer, your heating and cooling equipment does not have to work as hard to deliver the comfort that you deserve. Heat pumps are ideal for the climate in and around Bridgeport and Clarksburg, West Virginia. Aside from saving you approximately 30% on your energy bills, heat pumps are more environmentally friendly and assist with maintaining the humidity level of your home. Climatrol offers a variety of modern heat pump options to help meet your climate control needs. When considering a heat pump, energy-efficiency is your most important consideration, and you must ensure that the pump is the right size for your home or commercial application. If your heat pump is overworked or unable to provide adequate power, the results will be poor. The Climatrol team will measure your home and determine how we can help you decrease your heating and cooling expenses with the optimal unit to meet your needs. If you would like to learn more about how investing in or replacing your outdated heat pump can increase the efficiency of your HVAC system, contact us. We will be happy to explain your options, and provide the solutions to help you take back control of your energy expenditures. Contact Climatrol at: (304) 623-0606.